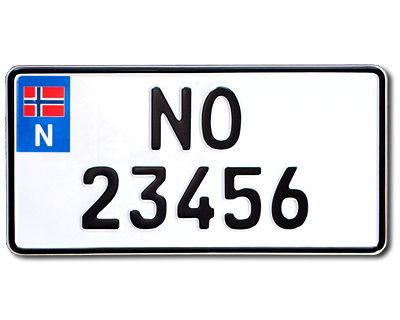 A norwegian truck plate with flag on the left edge. 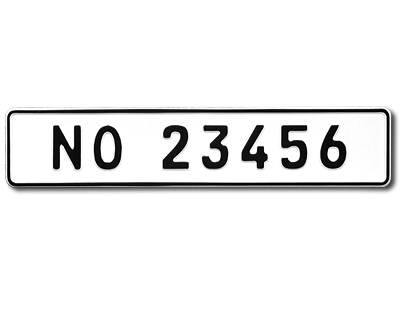 The plate is made of aluminium with embossed letterings. 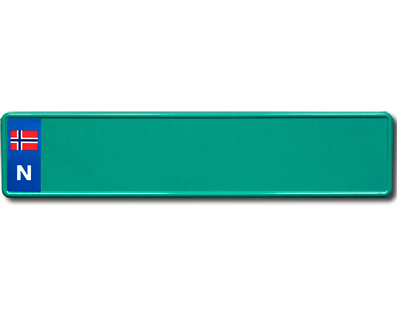 Standard size 300 x 150mm.